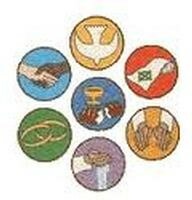 At St Vincent’s we use Shared Christian Praxis as the framework for teaching and learning in Religious Education. Units of work are based on the Treasures New and Old Unit Outlines and are developed at a school level, written using the praxis approach. When programming units of RE, teachers commence the unit with a focusing activity that introduces, orientates and motivates students to the study of the unit. Teachers draw upon students' current experiences and knowledge to assist them to make connections with spirituality and faith. It is inclusive and invitational. Year 3: Sacrament of Reconciliation. Year 3: Sacrament of Eucharist.